Foodservice Gateway » Get Your Name Out There! If you’re looking to take your culinary career places, put yourself to the test and enter the 2016 Nestlé Golden Chef’s Hat Award. Taking part in the Nestlé Golden Chef’s Hat Award provides young chefs with an ideal opportunity to get ahead and advance their culinary careers. You’ll be cooking against your peers from the get-go, being mentored by culinary instructors along the way and given access to a national network of professional chefs. 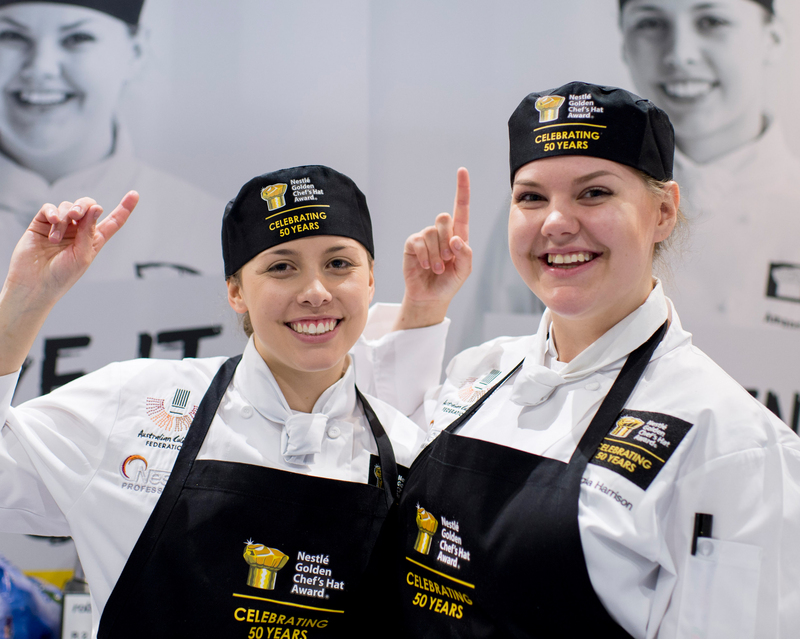 All up, it’s a great learning experience to really find out where you are as a chef and if successful in your region’s heat you will get to cook-off against the country’s best chef talent at the National Final in Melbourne this September. Not only could you win medals across entrée, main and dessert course categories, you’ll get the opportunity to step up to the plate at Fine Food Australia, cooking-off live in front of show attendees in purpose built kitchens. Entries are open until Friday 6th May 2016. 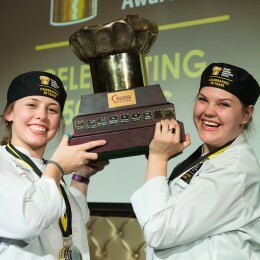 Entry is open to residents of Australia who are currently in the culinary profession and aged between 16 and 25 years of age on 30th September 2016.